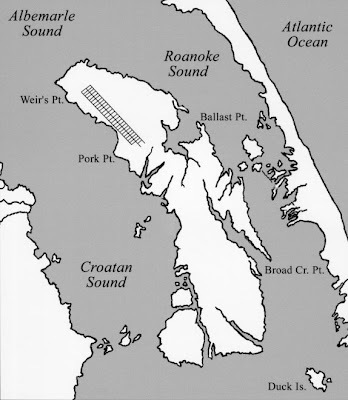 In 1587 a group of 117 settlers (men, women and children) arrived to the shores of Roanoke Island and established a settlement, but by the time new supplies arrived in 1590 all of the settlers had vanished. The story of this first ill-fated English settlement was one of America's greatest mysteries up until now. Interlocutor: Master, there was a colony of more than 100 people, settled in United States in the XVI century, I refer to the lost colony in Roanoke Island that disappeared uncannily without leaving any trace. Was it an extraterrestrial abduction? Ruanel: They went to colonize another planet. Interlocutor: But who were those that came to abduct them? Ruanel: Extraterrestrial from a neighbor planet. Interlocutor: Can we know which one is it? Ruanel: Its name lacks of importance. There are few stellar systems that have two inhabited planets. This solar system I refer to has two inhabited planets. The world of these beings is an icy world, they are beings somewhat transparent. It is as if you could see their bony part. They are very similar to the Antheans - you already know how they are -, but their are transparent as gelatin. Interlocutor: But their bodies have the same soft consistency than gelatin? Ruanel: No, their bodies are similar to the transparency of gelatina, nothing else. their bodies in fact are relatively solid. Interlocutor: Was there agreement between the aliens and the settlers? Ruanel: Yes, in this case nothing was forced. Interlocutor: Didn't this people leave any sign of what had happened to them? Ruanel: No, they didn't leave anything. Interlocutor: Was the planet to which the colonists were taken uninhabited? Ruanel: Yes, it was uninhabited, except for some small animals that these beings didn’t touch. Interlocutor: How are they living at the present time? Ruanel: Yes, just like that... They have a technology of the XVIII century that is to say, they have not advanced a lot in this area, they don't have combustion motors, they do have small vehicles to solar energy that don't contaminate the atmosphere. Interlocutor: Do they have television or something like that? Ruanel: No, they don't have that type of devices. Interlocutor: But at least they have advanced philosophically? Ruanel: No, they are not big philosophers, directly they live in communities, they have their religion, they have had conflicts, because there were races that had conflicts 100 years ago. In that planet they thought that there were gods that punished, but later on they have returned to the normality. Interlocutor: I see that in fact it is not interesting alter all I conclude this topic here. This entry was posted at Sunday, August 09, 2009 and is filed under Missing Persons . You can follow any responses to this entry through the .